The Walt Whitman Program in American Studies is an interdisciplinary undergraduate minor consisting of a concentration of six courses (18 credits) that illuminate diverse aspects of American culture. The minor combines coursework in American studies with courses from relevant disciplines (literature, history, arts and material culture, and the social or behavioral sciences), giving students the opportunity to examine American experience from a variety of perspectives. To integrate these diverse perspectives, students enroll in an interdisciplinary Introduction to American Studies course, which introduces them to the critical and theoretical paradigms of American studies and their applicability to a range of American writers and texts. This course serves as a basis for the minor. Students, with advice of program faculty, also take 12 elective credits, which introduce them to a particular issue or set of problems in American studies. At least 3 of these credits will be in English and at least 3 credits will be in history, but no more than 6 elective credits will be in any one discipline. At least 6 elective credits will be at the 300- level or above. During the senior year, students complete either the American Studies Seminar or an Independent Study in American Studies consisting either of a research project or an internship at a local museum, library, or historical site. 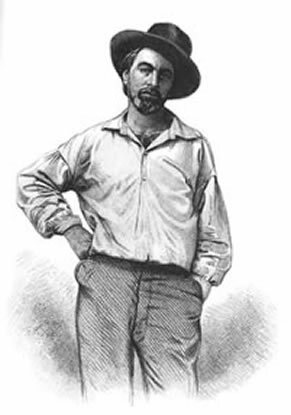 Page last updated by Walt Whitman Program in American Studies at 9:52 am March 20, 2015 . This page was printed from http://americanstudies.camden.rutgers.edu/ at 10:49 PM Sunday, April 21, 2019.